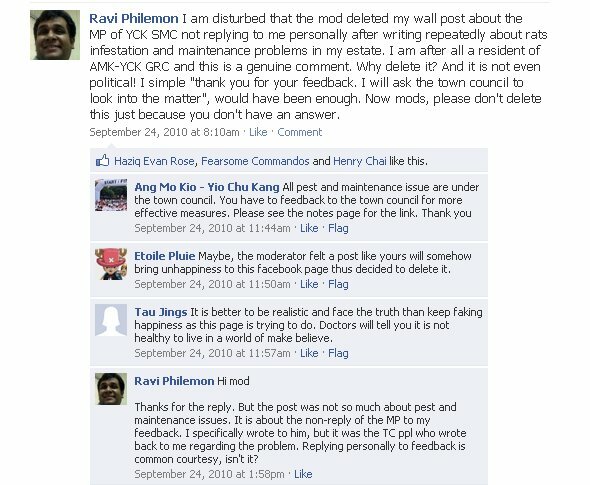 I wrote the article "How not to run a Facebook page" (see HERE) because I am a resident of Ang Mo Kio-Yio Chu Kang GRC/SMC. 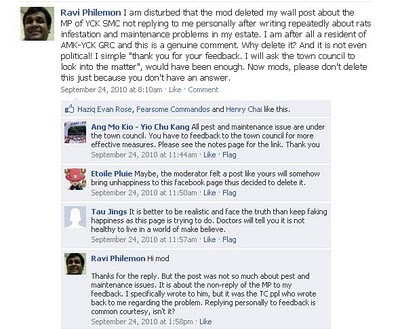 I had participated actively in the discussions on the facebook page initially (as any resident wanting to take more ownership of the place he lives in should), only to have my feedbacks deleted indiscriminately (see below) even though they were not even political. 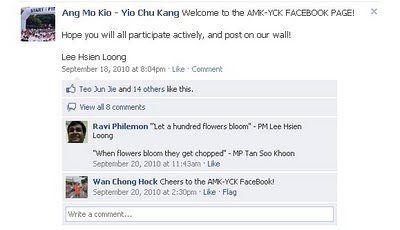 So, I kept track of this Facebook page for the last 6 months and decided to write something on it when I concluded that it had gone the way of the dodo bird.